Friends. I’m in a weird place (metaphorically speaking; I’m physically at home in my filthy little office) and I am also about to leave for Europe on a long-awaited ten day trip to three different cities. Normally when at a crossroads I would not necessarily go on an admittedly expensive (though not lavish) trip but this was booked and paid for months ago, before Shenanigans Ensued About Which I Shall Not Elaborate On The Internet. But a) it’s not refundable and b) it will be beneficial to heart and soul. So off we go, The Lovely Rhonda and I. Naturally we could not be prouder. So five years ago The Lovely Rhonda and I decided to drag the children to our church’s camp for a few days of Family Camp. We took only the older two girls as the youngest was barely two years old and we thought summer camp + diapers = misery. We were kind of correct in this regard. The baby went to Grandma’s. The camp is only about an hour from where we live but it might as well be on Mars, in some ways. It’s set on something like 200 wooded acres, with a stream or two running through it, and sometimes you can see deer wandering along in the evening. And every night the bats start flapping around after dusk, just in time for campfire. The cabins have sturdy wooden bunkbeds in them (and, thank God, modern plumbing) and meals are served in the lodge. College-age staff members keep the kids amused, and the boring old grownups sit around talking about boring old grownup stuff. There is a lot of crafting. It’s fun. We have gone every year now for five years. The first year, the middle child made it two nights but lost her ever. loving. mind. in the morning after the second night, when the pink Play-Doh was already in use. She had such difficulty that Grandma had to come whisk her away. She does not tolerate change well sometimes. The second year we brought the youngest with us too, and it was she who required Grandma’s rescue services after a couple of nights. The third year we all survived the entire ordeal. Yay us! Last year TLR felt that we should up the ante and stay the entire week. By Thursday we were pretty much all losing our ever. loving. minds. This year, TLR came up with the brilliant plan to go for the entire week but only bring the children in halfway through, thus enabling us to relax a bit before the onslaught of whining/bug bites/dissatisfactions/misbehavior that our children excel at. 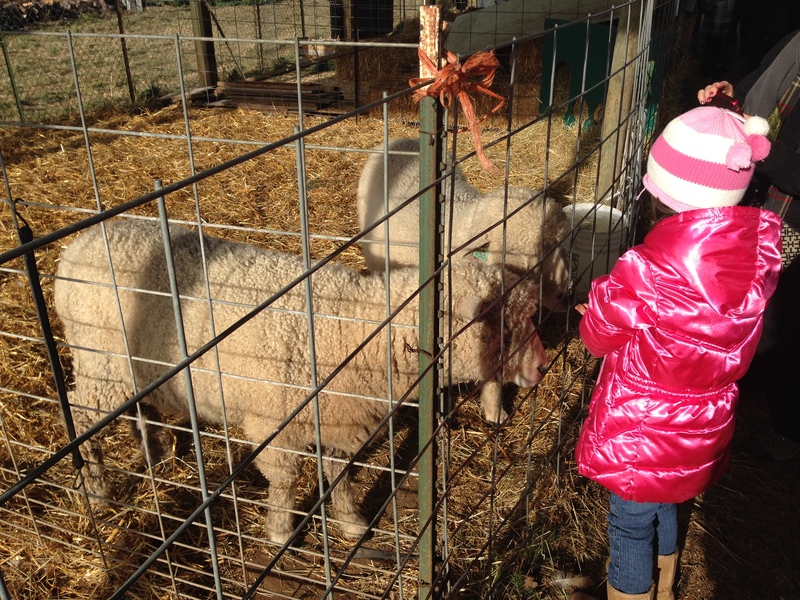 Each year we get to know the other families a little better. They are all fantastic people, and they keep coming back year after year; some of them have been coming literally all their lives — and they are older than I am. We all look forward to this all year long. There are certain customs: hand-cranked ice cream, afternoons at the swimming hole, crafts everywhere, night hikes, singing and skits at campfire. We created our own customs. One night at campfire, usually the last night, we (along with our delightful friend Kirsten) bring s’mores supplies and everyone makes s’mores after all the skits and songs are over. We bring plenty so people can have all they want, and there’s a lot of chatting and spontaneous bursting into song that happens. And kids with marshmallow and chocolate all over their faces. And on the last night, if possible, we bribe the counselors into hanging out in the cabins that have small children in them so the parents can go to the lodge and play table games. 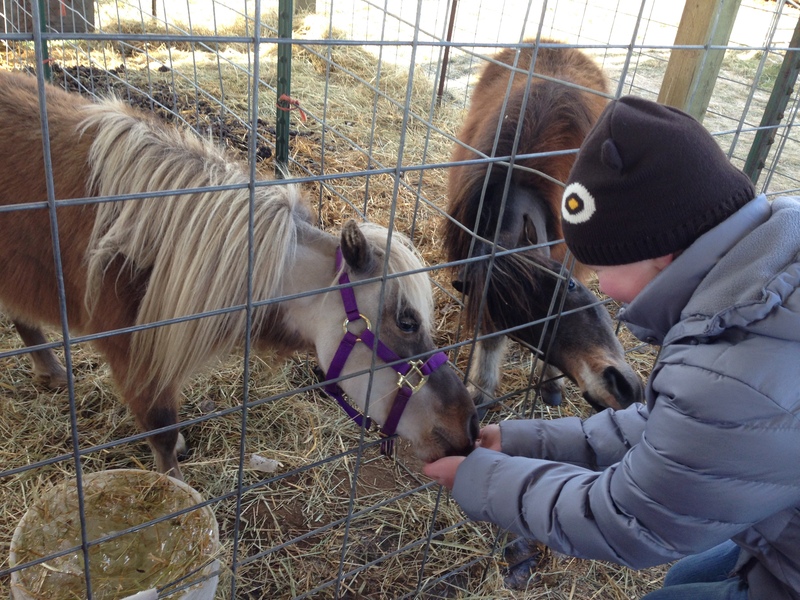 We bring snacks and junk food and everyone — even the salad-eating Knierim family — gobbles everything up so we don’t have to be bothered with taking it home. We have a wonderful time. This year was especially relaxing because I had just completed my BSN the week before camp. It was a beautiful thing, to spend a week in the woods with such good people at this particular point in time. So the past few weeks have been fraught with turmoil. We moved, and that’s good. But stressful. Rhonda’s ex-mother-in-law passed away rather suddenly. She was not someone I knew well, but she was family to Rhonda for many years and was her girls’ grandmother. That was sad, and stressful. A good friend was diagnosed with multiple sclerosis. That was really stressful, especially for her and her family. I grow weary of having to remind grown people how to behave. That’s all I want to say about that, aside from the fact that it’s frustrating and stressful. On the other hand, we watched two people whom I love dearly finally get to marry one another, and that was perhaps one of the most awesome things I’ll ever see. My practicum is actually about something that interests me and I’ve met some neat people (and a few nuts) in the process, so that’s cool. There’s still a shiny motorcycle in my garage and that’s pretty neat. Right now life is a lot like eating bridge mix. I don’t like bridge mix except when it’s raisins. This bridge mix doesn’t have quite enough raisins, but the raisins it has are pretty great raisins. 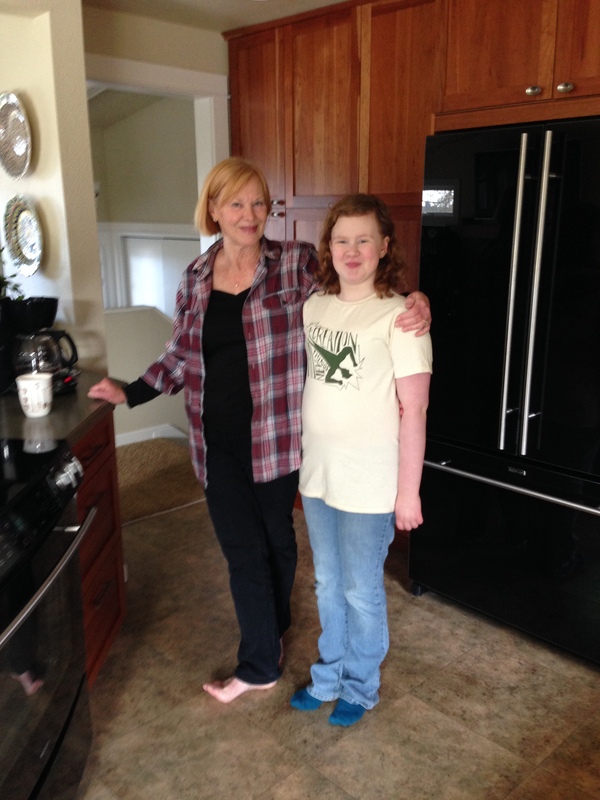 So my 9 year old giant kid, Delia, and I visited my mother on Friday. It was a day off of school and I seized the opportunity to drag her down to Mom’s for a sewing lesson. With a surprise. I mentioned to Delia that we were going to Grandma’s for a sewing lesson. “But I already know how to sew,” she said. Meaning that she could thread a needle and hand-stitch little projects from a kit and had made her own creations once or twice. 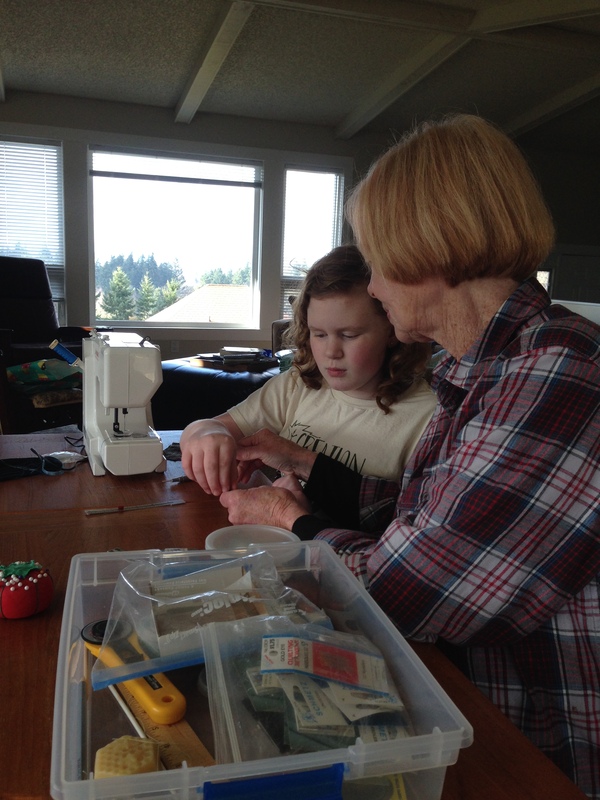 “Grandma wants to show you how to sew using a sewing machine,” I told her. She seemed pleased. 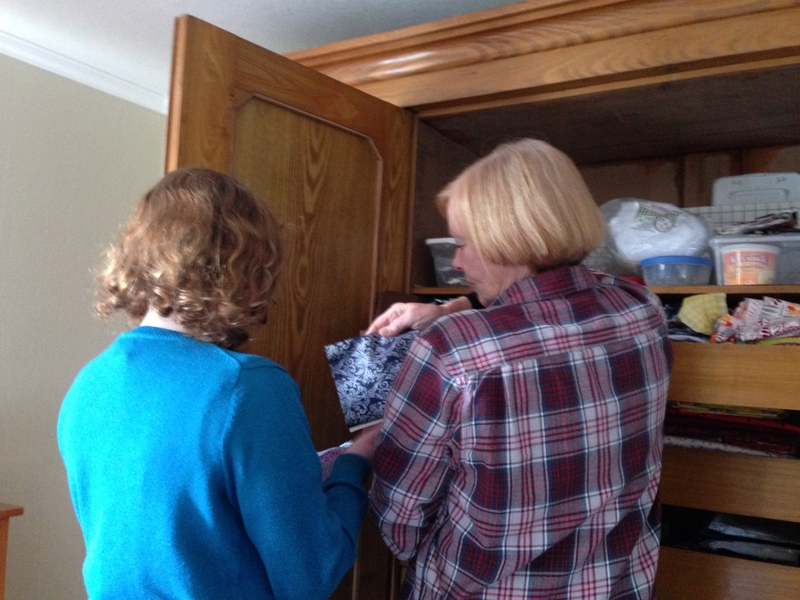 We arrived in due course and Mom showed her around the sewing room and we looked at some projects, mostly quilts. 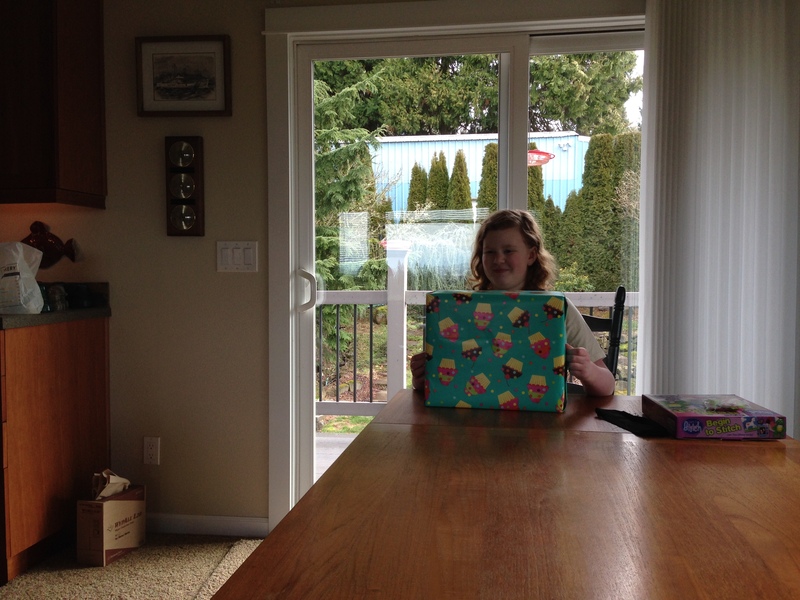 There was a box wrapped in cupcake-themed gift wrap on the dining room table, which we passed several times but was never mentioned. Eventually Mom left the room and Delia sidled over to me. “Mama, there’s that box over there but I don’t want to be rude and ask about it,” she said. Note: this is a first. I would not have been even slightly surprised had she dropped broad, obvious hints about wondering who that present could be for. In fact, I was rather surprised not to hear them. Eventually Mom returned and in due course asked Delia if she knew the expression, “the elephant in the room.” She didn’t, so we explained it to her. “So, what do you think the elephant in this room is?” Mom asked her. 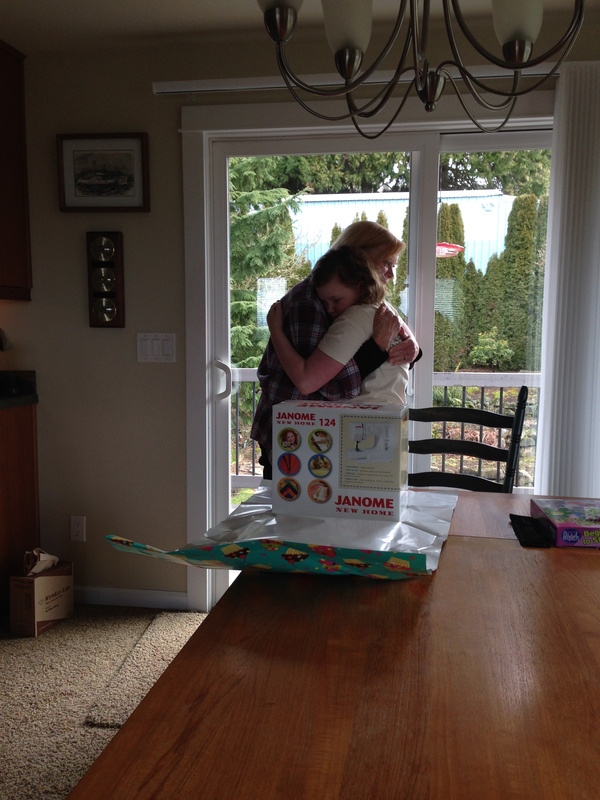 And so it was that she was given the box, and opened it, and inside was a small, neat beginner’s sewing machine. We spent the rest of the afternoon having a basic sewing lesson, learning to load the bobbin and thread the needle and make stitches. It’s a very nice little machine, easy to use and quite good quality. As we packed up to leave Mom permitted us entry into the Inner Sanctum where bits and scraps of this and that were selected from her very tidily maintained Stash. We returned home rich in material goods (literally) and the next morning found Delia getting into the shower as I dragged myself out of bed. I commended her on her initiative, and she told me that she figured if she took care of getting ready to go, she might have time for sewing before leaving for the Girl Scout function we had to attend. She might have time for sewing. I think we’re doing something right here. So The Lovely Rhonda and I give the children an allowance every couple of weeks, allegedly for chores that they do. There are assigned chores (cleaning the catbox, taking out the recycling, etc) and there are “other duties as assigned,” such as filling the cat food dish or picking stuff up in the living room so I can vacuum. Also a large part of allowance is cleaning your room, which we are dismal at enforcing and the spawn are equally, if not more, dismal at actually doing. This morning TLR announced that rooms would need to be cleaned in order to receive the blessed allowances, and thus began our Morning of Travail. As luck would have it, the eldest spawn cleaned her room yesterday at my behest, so she’s happily playing CADsoftwarewithastorylinecraftTM while the other girls toil away. M2: Mama, can we pwease put this up? TLR: Yes, just put it on your desk for now. TLR: Okay, so put this underneath your homework, on your desk. Shortly thereafter Molly, the middle child, comes showing something else that must be looked upon immediately. I can’t remember what because frankly it was so mind-bogglingly trivial that it barely registered in the first place. TLR, a paragon of patience for reasons that I still cannot fathom, acknowledges the item and gently bids the child return to her room. Approximately 90 seconds passes, after which Madeline returns announcing that she has cleaned her entire room. TLR: That seemed kind of quick. Did you clean the whole thing? TLR: So, everything is up off the floor? Like, under your desk, and back by your toybox, and in front of your closet? M2: Well, no. Not in fwont of my cwoset. Because I never go there. TLR: You need to clean in front of the closet. TLR (calmly): Because I said so. Now go clean in front of the closet like I said. M2 sighs heavily and trudges down the hall. A moment later Molly appears. M1: Mama? I think Madeline is whining about something in her room. M1: Yeah. It sounds like she’s saying, like, “But I didn’t even do it,” or something. TLR: Well, why don’t you just not worry about it. Me (at this point I cannot help myself): SO CLOSE YOUR DOOR. There is a beer-and-wine-thing tonight in downtown Bedroom Community, and TLR’s favorite vintner will be represented at a local independent theater we like to go to. I think it’s safe to say we’ll be going. Okay, technically she wasn’t from there, but she did live there for a time. Tonight I had occasion to dig out some little odds and ends that I inherited when my grandmother passed away. This happened when my daughter was five months old. She is now 9 and a half years old. It’s really true that although you may get past someone’s death, you don’t really get over it. It feels the same today as it did then. There is not a day that goes by that she does not cross my mind. I had not brought out these things in some time and at first I could not find them; this caused a small panic, that I could have let them somehow slip away from me. I rummaged around in all the disused spaces of our house several times before the suggestion that might they be among my craft supplies? jogged my memory a bit and so I found them, in a pasteboard box, down in the glass-fronted hutch cupboard. I was relieved that I had not left them in the garage, which is relatively dry but cold in winter and hot in summer and smells like damp concrete and grass clippings. It would be no place for an old lady’s trinkets. It’s hard for me to handle these little items, physically I mean to touch them and have them out, because they still smell like her house smelled and that will cause the sharp little pang of stinging sadness like no other thing will. But I needed something from the little cache, and when I couldn’t find it it suddenly became vitally important that I lay my hands on it, right now, tonight. I feel better and worse, happier and sadder, for this little trip down memory lane. These days as I find myself caring less and less for what anyone thinks of me I am reminded of her more and more. She had her faults and her foibles but by God she was who she was. And I miss who she was, tonight and every other day of my life. So this morning we ventured forth into the 22 degree weather to get our annual Christmas tree. 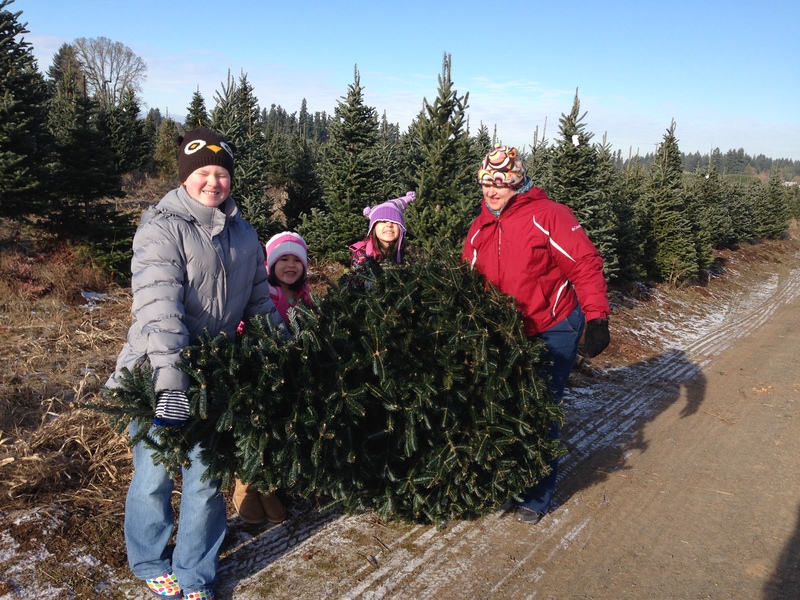 This marks the fifth straight year that we have done so as a family, going to the same tree farm each year. We like this tree farm because although the trees are somewhat more expensive than the ones at the gas station, they have a petting zoo and free cocoa and they drill a hole in the end of your tree and stick it on a patented “Marriage Saving Tree Stand” so that when you get it home you just stand it up and it’s ready to decorate. 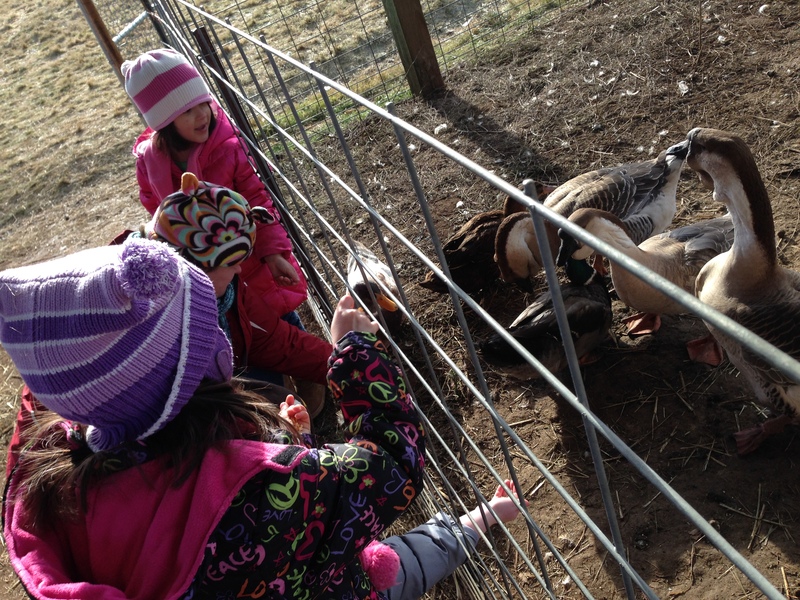 Note: feeding farm animals a handful of oats for 25 cents — thereby transforming a fifteen dollar bag of oats into a veritable gold mine for the farm (note to self: THIS IS WHERE THE MONEY IS EARNED, THE TREES ARE JUST TO LURE YOU IN) is a major draw for the children, but it’s the tree stand that brings The Lovely Rhonda and I back year after expensive year. No price is too high to pay to get out of having to apply a rickety pot-metal stand to the nether regions of a majestic fir tree, and furthermore get it to stand up straight. It’s a miserable hobby that nobody enjoys, least of all me, the designated spider-killer, lawn-mower and tree-erector of the household. Each year we have also had to find our way to the tree farm as though we had never been there before, because we can only remember the vaguest details about it — “it’s the one with the goats, and I think there was a guy in suspenders?” — and certainly can’t be bothered to recall useful information such as, for instance, its name? Or perhaps general location? And so it was that we once again this year performed the traditional Festive Annual U-Turn when we realized we were, as with the previous three years, on the right road but going the wrong way. Then as we drove it up to the barn for embalming shaking and baling, TLR said, Um, guys? Look out the back window? What is that? And there was a llama being walked around the estate, all splay footed and knobbly kneed, and we had to pile out and meet it. Her name was Shania Twain and we dutifully had a photo op. 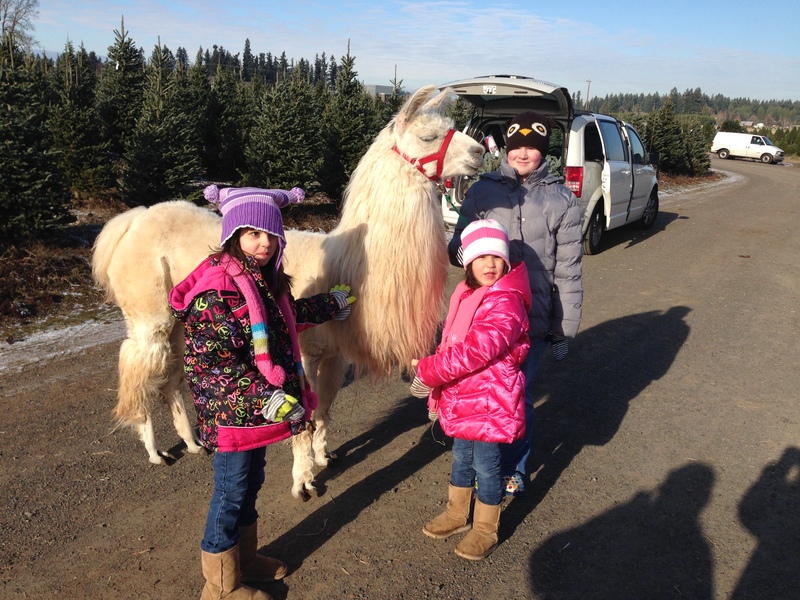 Once we’d exhausted the possibilities of the llama-tree-farm juxtaposition absurdity factor, we crept onwards to the barn. We allowed the children to ride sans belts, on the floor if desired, and the eldest enjoyed a heretofore unprecedented joyride in the forbidden front seat. Such is our carefree existence that this relaxation of protocol made them all giddy and unmanageable. At the tiny guard hut where you pay for your kill tree, the cashier informed us jubilantly that the car ahead of us had gotten their tree for free. One of the local credit unions was handing out envelopes with coupons in them for varying amounts off of the purchase price of the trees, and these lucky bastards fortunate holiday shoppers had received a fifty dollar coupon. Ours was for twenty dollars for which we were pretty stoked, right up until we heard that. THANKS FOR THE BUZZKILL, CASHIER LADY. I kid. The whole thing was pretty magical. We had no idea they were doing that today and it was a really nice bonus to get the tree for basically one-third off. 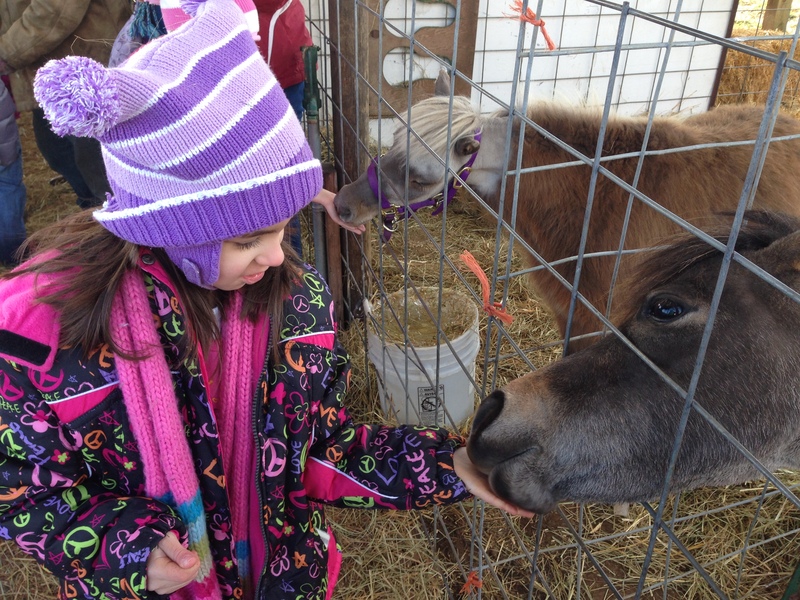 We had that sucker shaken, baled and stuffed in to the MOJ in no time and proceeded on, as is customary, to the petting zoo. Then we piled into the MOJ and drove our trophy home, to display it in all its grisly splendor until the day after Christmas, at which point I will become physically unable to stand the disruption for ONE. MORE. SECOND. and strip it of ornaments and lights and dump it in the side yard. The end.